The 4th of February is marked as World Cancer Day, and Ara wants to add to the global movement by spreading awareness to end the injustice of preventable suffering from cancer. World Cancer Day is an international day to raise awareness of cancer and to encourage its prevention, detection, and treatment. 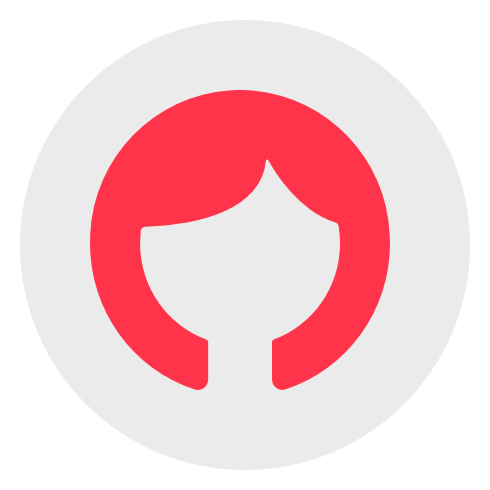 World Cancer Day was founded by the Union for International Cancer Control (UICC) to support the goals of the World Cancer Declaration, written in 2008. Cancer is a group of diseases, involving abnormal growth of cells with the potential to invade or spread to other parts of the body. You beat cancer by how you live, why you live and in the manner in which you live. Depending on the stages, the treatment of cancer may involve chemotherapy, radiation, hormone therapy, and surgery. 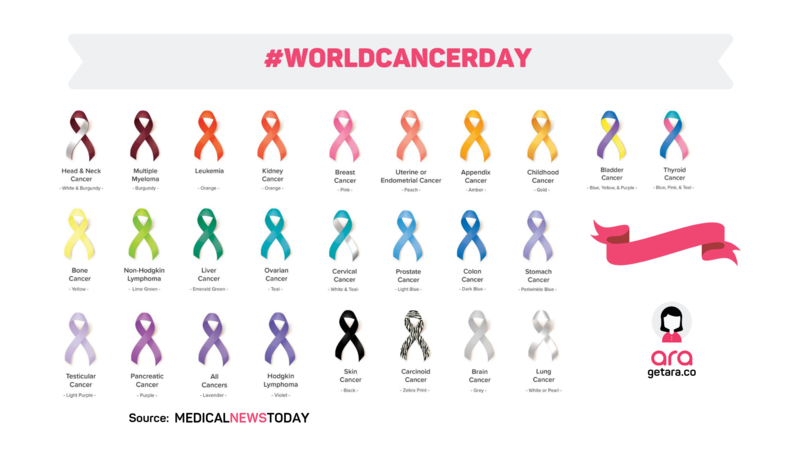 As a receptionist, I am always on the lookout for ways to be of help and the best thing I can do this #WorldCancerDay is spread awareness about the symbols associated with it. 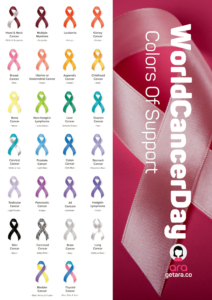 Here are the different color ribbons are used by people around the world to show support and motivate the people suffering from cancer.